Kids get a real hands-on animal experience in this exploration camp. They’ll learn about wildlife and endangered species while they compare and contrast the characteristics of many common and unusual animals. Plus they’ll learn how animals enrich our world. Campers take off into a world of exploration through hands-on experiments to learn essential concepts applied towards a variety of eruptions, engineering experiments and much more. STEM curriculum is used in a fun, hands-on way. The YMCA and National Park Service have partnered together to empower youth to create new outdoor opportunities to play, learn and serve. 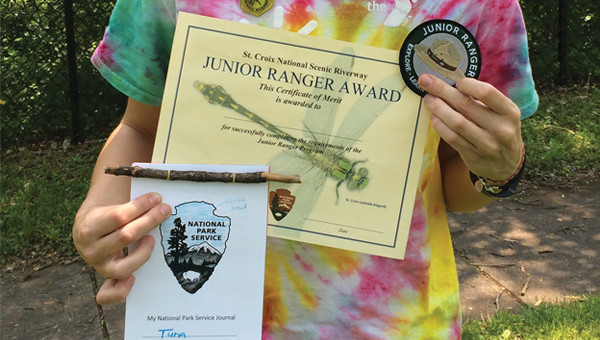 Campers will earn their Junior Ranger badge and experience firsthand the Junior Ranger motto of Explore, Learn and Protect. Campers will experience a field trip to the St. Croix River and work with a Park Ranger!